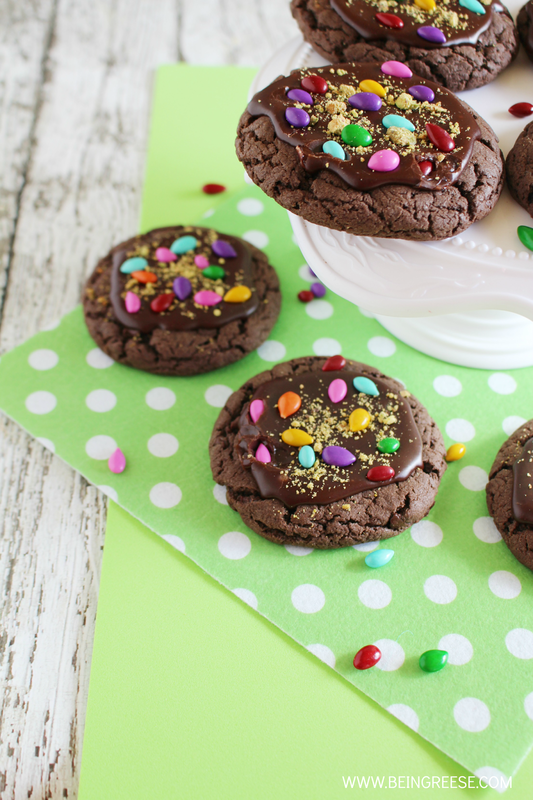 Triple the Chocolate, triple the fun! It's almost hard to believe that in a few short weeks Spring will once again be here. 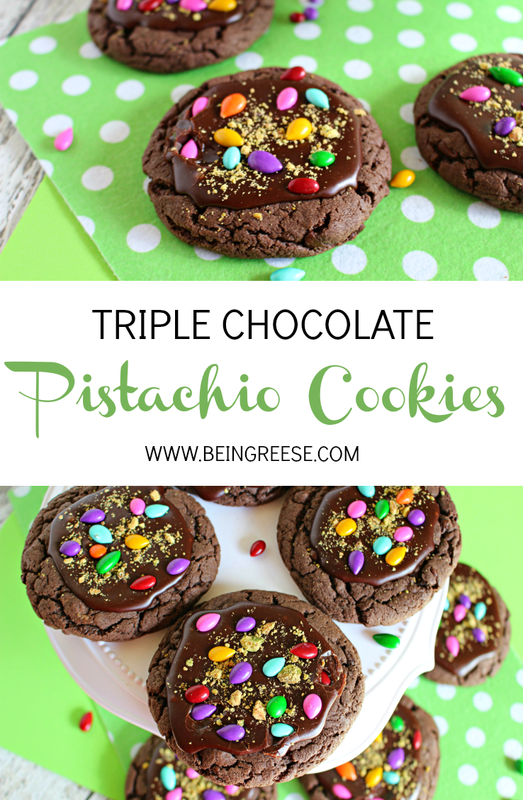 If you're like me and love to spoil your guests with sweet treats, you'll love these simple, yet delicious Triple Chocolate Pistachio Cookies. Not only are they an adorable treat for BBQ's season, but they are fairly simple to make. Plus they involve copious amounts of chocolate. Definitely my kinda recipe. The best part about these cookies, (besides the chocolate, of course), is that they're the perfect introduction to basic baking for your littles. This year I've made more of an effort to allow Little J into the kitchen. Granted I'm not letting her fry chicken or carve up a steak, but simple recipes like this allow your kids to get messy and gooey without running the risk of burning down your home. Baby steps, right? Send your kiddos to school with treats for the whole class, or serve these up to dinner guests after a delicious meal. These cookies are versatile little bites of pleasure that take less than 30 minutes. Plus, they're just pretty to look at! 3. In a medium bowl add the cake mix, eggs and vegetable oil. Mix until well blended. 4. Fold in the chocolate chips and chopped pistachios. 5. Roll dough into 1 inch balls and place on cookie sheet. 6. Bake in 350°preheated oven for 10 minutes. 7. Place cookie sheet on wire rack to cool for 5 minutes. 8. 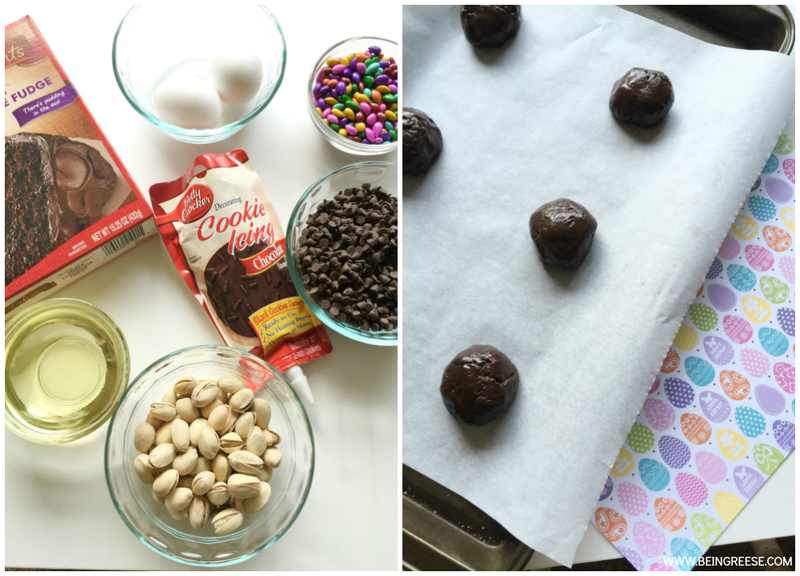 Transfer cookies from cookie sheet to wire rack to completely cool. 9. Ice each cookie with the chocolate cookie icing squeeze pouch. 10. Sprinkle the remaining 1/8 cup finely chopped pistachios onto each cookie. 11. Sprinkle 8-10 sunflower seeds on top of each cookie. 12. ENJOY with a smile. As always, if you enjoyed this tasty recipe, feel free to retweet to share with friends on Twitter or Repin to revisit later on Pinterest. Happy Black History Month friends! I am admittedly a bit behind this month. My family and I are in the midst of a move so I've been a little bit less involved in Black History Month than I typically am by this point. So since I can't have a weekly lesson plan for you guys, I had some friends stop by to give me a hand. We've put together a list of more than 20 children's activities, crafts, reading lists, movie lists, talking points and more, for your reading and learning pleasure. I know Black History Month is a touchy subject for some, but it is my sincerest hope that you take the time to enjoy these activities and assortment of facts about African Americans with your families this month, and every month throughout the year. Remember, even as adults, we're never too old to learn something new. Please feel free to retweet on Twitter to share with friends of family or Repin on Pinterest for later! Black History Month is incredibly important, and yet often overlooked. 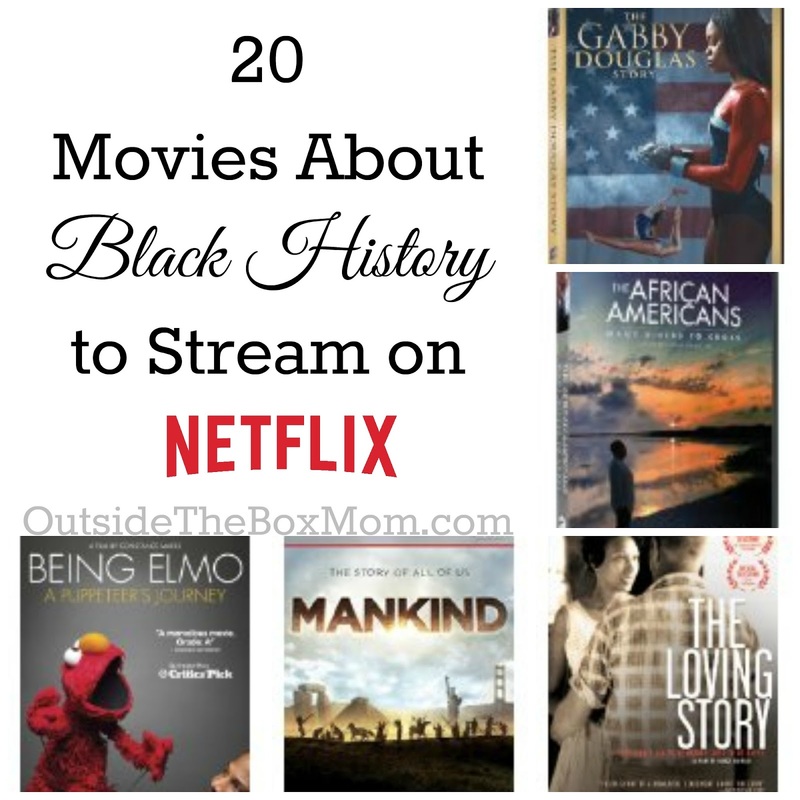 It only takes one moment to share these resources with others so that we can get our children excited about learning how African Americans have contributed to this country! Stop by and visit MJ of Fab Haute Mama for instructions on how to create this beautiful I have a dream garland. 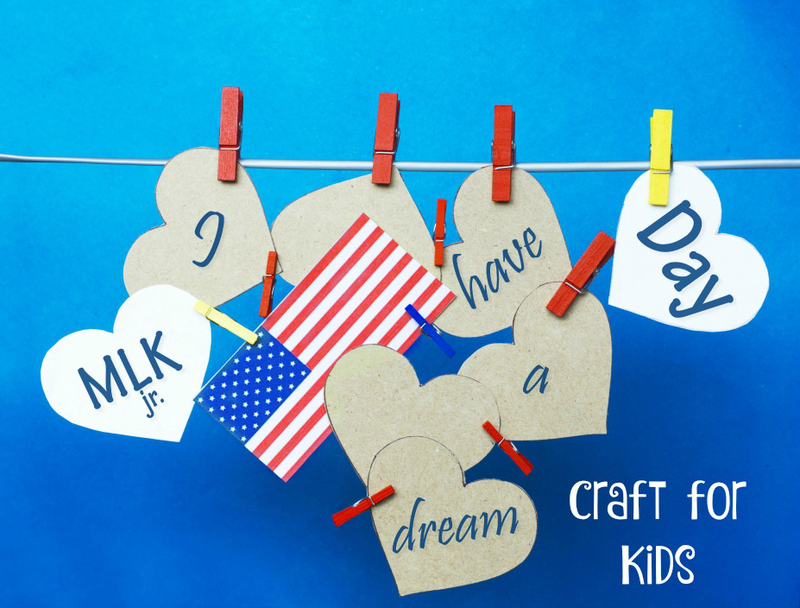 This craft is perfect for young children (and adults) who love arts and crafts! 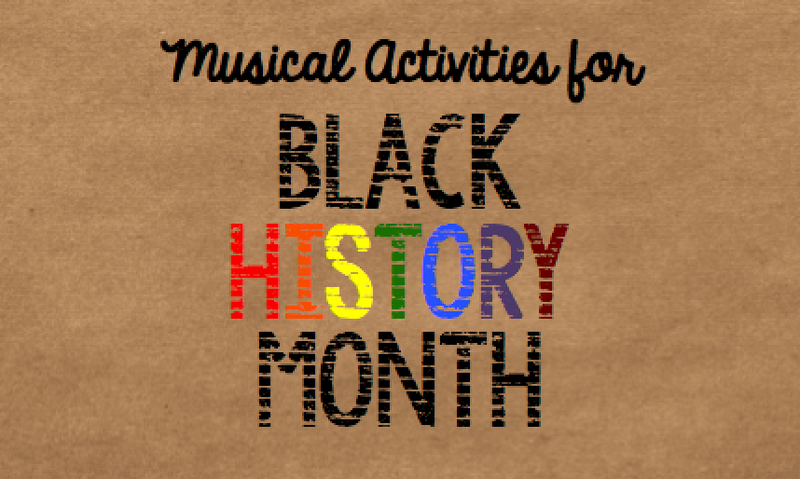 Set the tone for Black History Month with these fun (and upbeat) activities by Alieen of Mrs. Miracle's Music Room-- including a reading and music list for the musically inclined. Learn all about one of America's greatest sport's heroes-- Jackie Robinson. 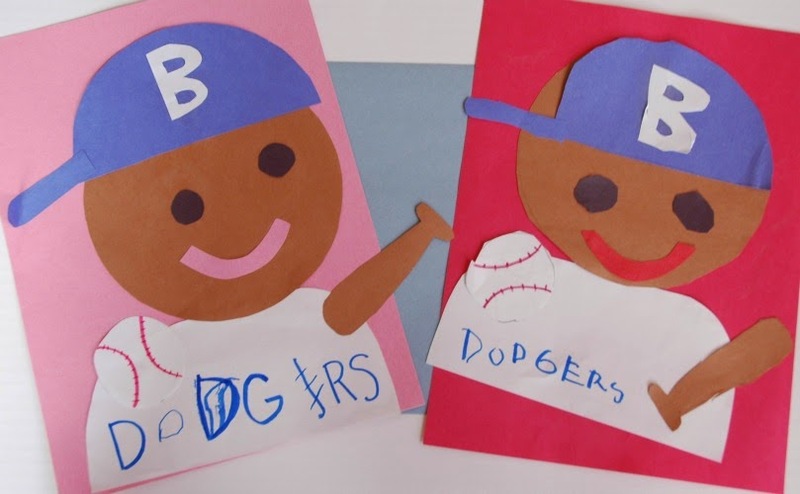 Visit Ellen at Cutting Tiny Bites for a wonderful tutorial AND Jackie Robinson reading list. 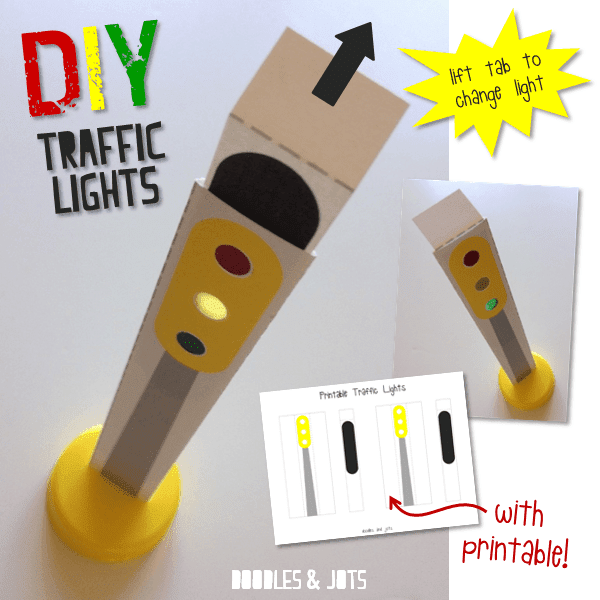 Stop by and visit Ann of Doodles and Jots to learn how to put together this impressive Traffic Light Craft, while you're there, brush up on history about Garrett Morgan, the inventor of the stop light. Teach your children that we're all the same on the inside with this cute little craft idea from Blair of The Well Season Mom. 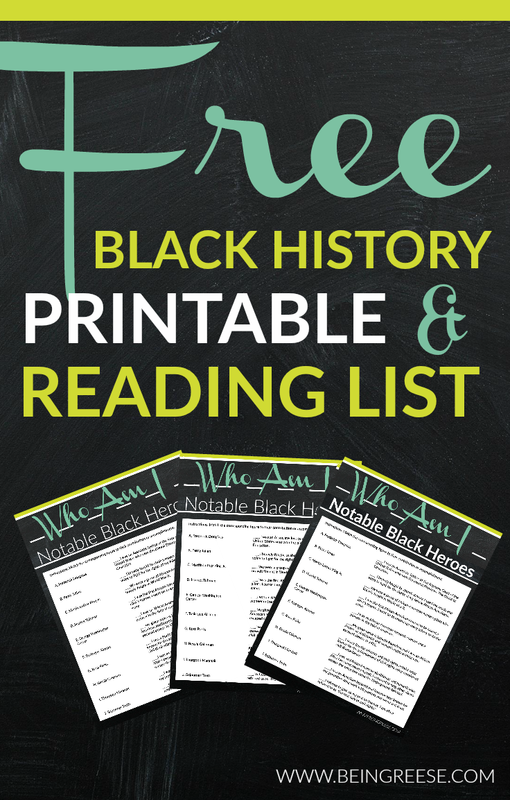 Check out my most recent freebie, a worksheet on notable Black icons for you to teach your children. Plus a reading list of all the notable figures discussed in the worksheet. 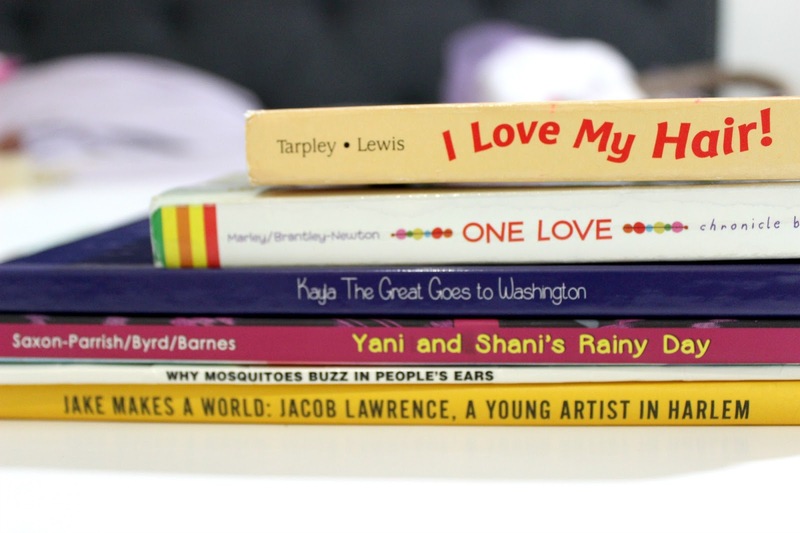 Looking for some diverse books to include on your child's reading list? Adanna of Rattles and Heels has you covered. Check out her latest post on diverse books for school-aged children. This list is perfect for babies, tots, and yes, even adults. Remember, you're never too old to learn. 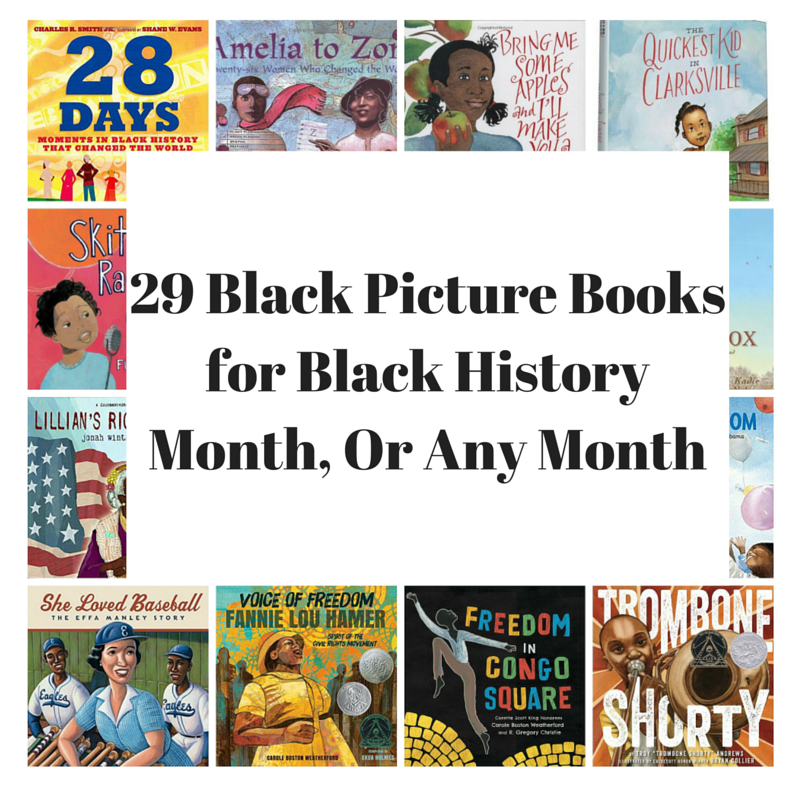 Drop by and visit Charnaie of Here Wee Read for 29 wonderfully engaging picture books for your kiddos this Black History Month. 6 Children's Books That Celebrate Martin Luther King Jr. 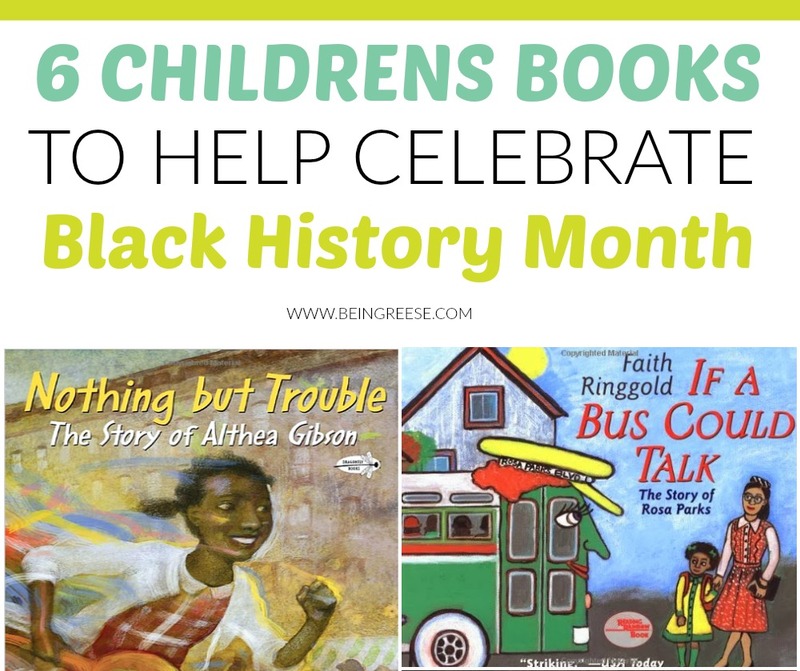 Check out my recent post with some great books to help introduce your children to Dr. Martin Luther King Jr. This list is perfect for children ages 1-10. 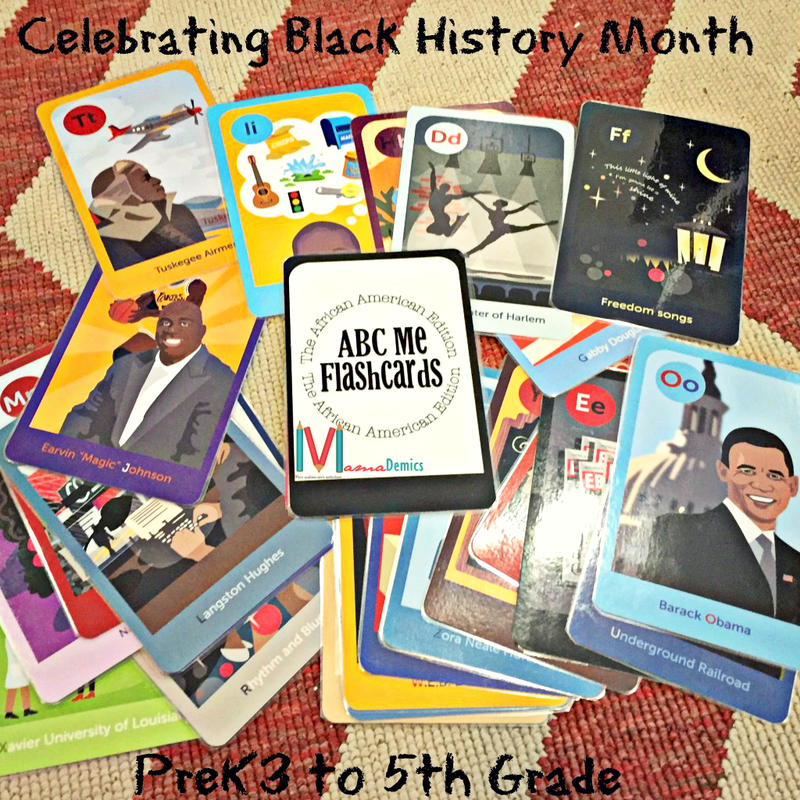 Drop by and see MamaDemic for some great tools for introducing your pre-k- 5th graders to Black History Month. By using a combination of flash cards and books from this well devised list, you can get your children started at a young age. From The Gabrielle Douglas story to The Watson's Go to Birmingham, this list has something for everyone to enjoy! You can check out this wonderful list by Raki of Outside of Box Mom. 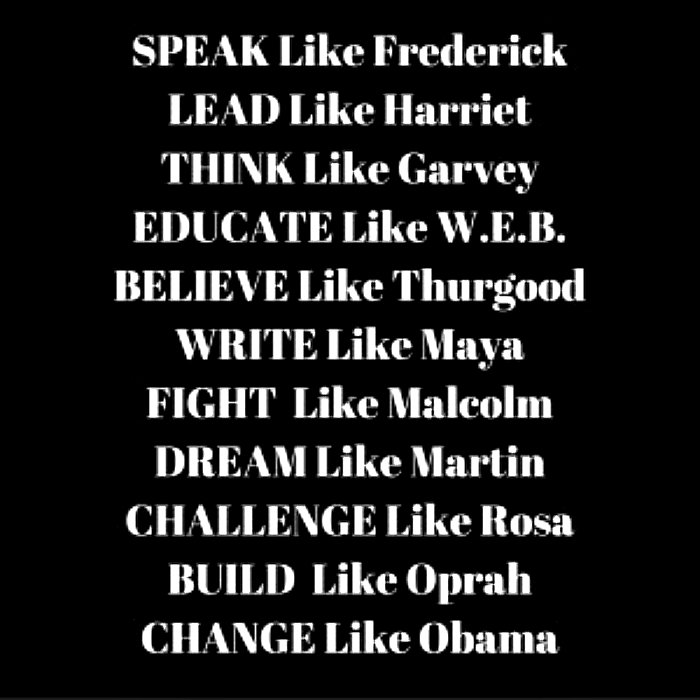 Do your children know the ABC's of Black History? 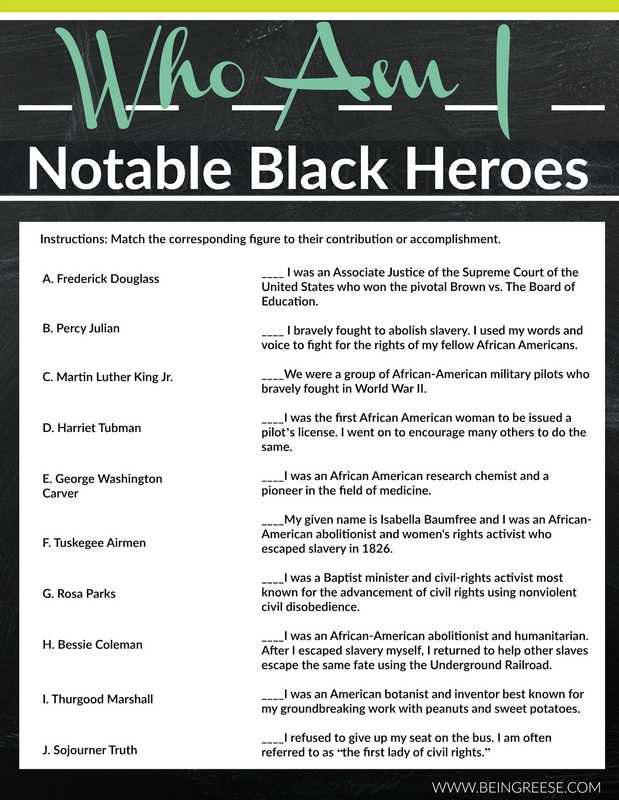 If not, this is a fun and engaging way to teach them all about some of our most important Black heroes. Fancy a road trip? The lovely Joanna of JoanneE.com has you covered. 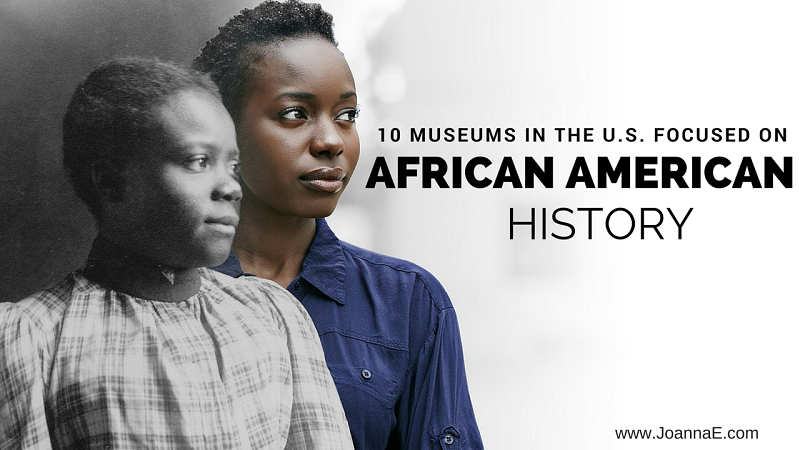 Check out her list of 10 Museum's that celebrate Black History. This one is perfect for children AND adults! 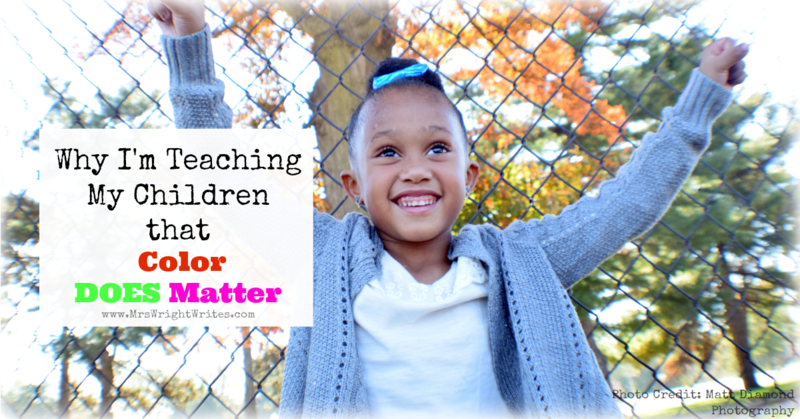 As difficult of a topic as it may be, Cynthia of Mrs. Wright Wrights explains why she chooses to teach her children that color DOES matter. Check out the wonderfully written post for possible talking points with your own children. Stop by and visit Sanna of Sanna Rants for an much needed discussion about things that African Americans fought for in the past, that we no longer celebrate today! Drop by for a chat with Unscripted Motherhood about the importance of celebrating black history month in your home. 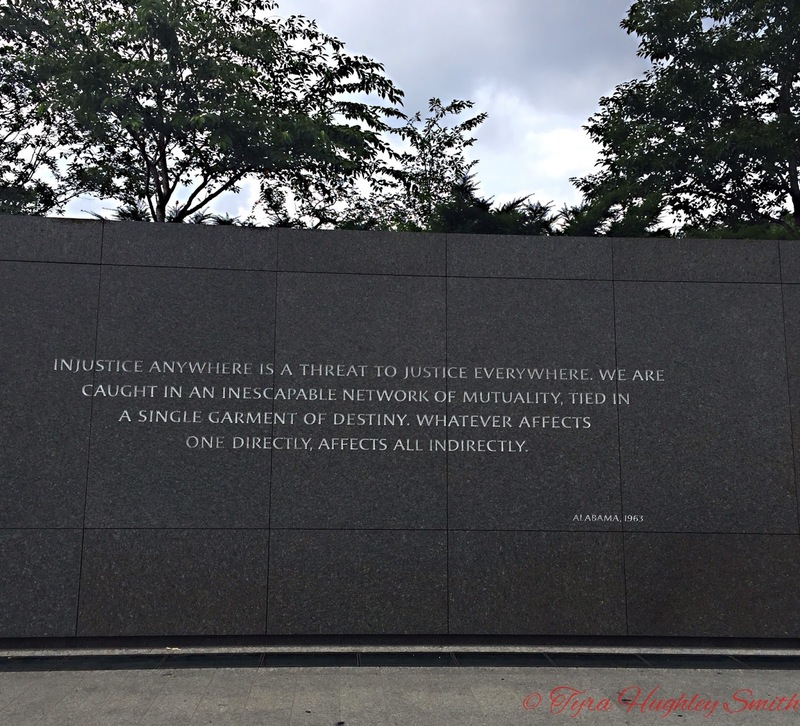 Take a journey to D.C. to visit some of the most historical landmarks with Barris Tourista, including the Martin Luther King Jr. Memorial, and the Supreme Court. 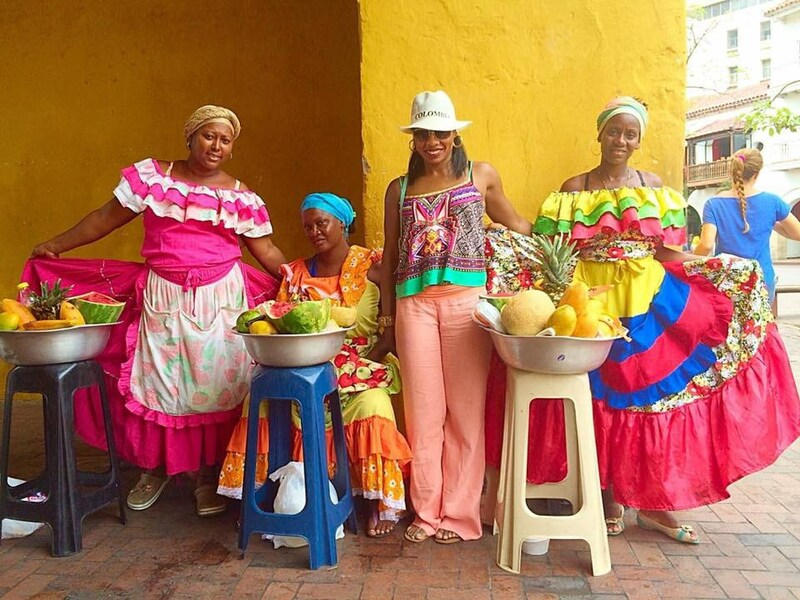 Let the lovely Nadeen of The Sophisticated Life dispel the notion that African American don't travel abroad. Check in with her this month for some fantastic travel stories and stunning photographs of some gorgeous Afro-Latino countries. 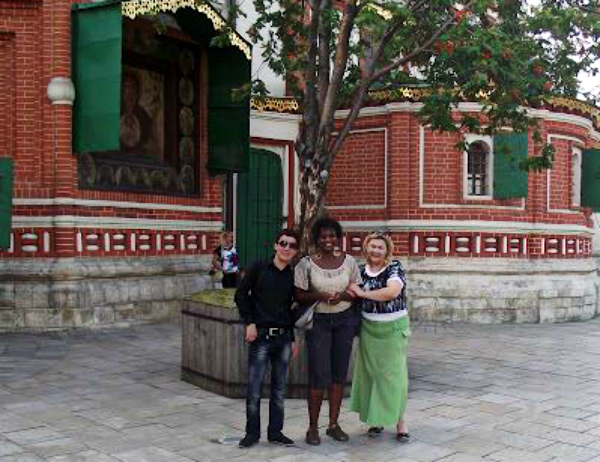 Stop by and visit with the fabulously well-traveled Roni of The Travel Guru as she shares some of her experiences traveling abroad as a woman of color. We're officially one week away from Valentine's Day. If you're like me and prefer to hand-make your gifts, now is the time to start dusting off your DIY materials and gathering up your supplies. If you're still in need of inspiration, put your mind at ease. 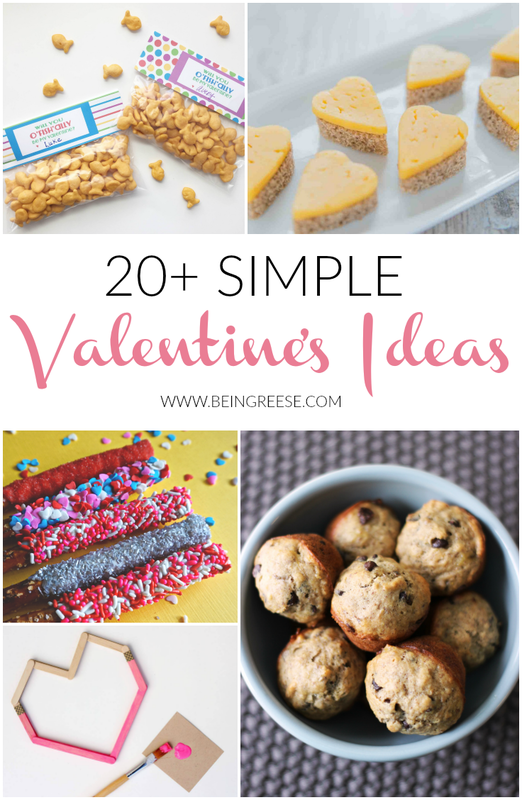 Today, some of my insanely creative bloggy buddies are going to share some of their favorite Valentine's Day crafts, activities and printables for your reading/creating pleasure. Okay, who wouldn't want to get these super cute Valentines baggies? 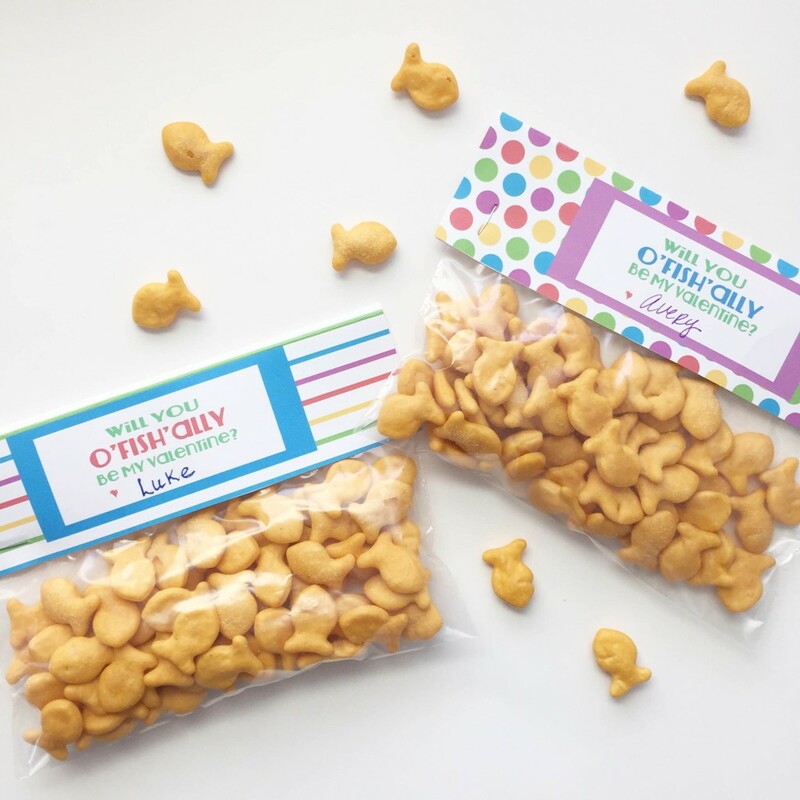 These adorable O'Fish'Ally printables were designed by Leah of Leah with Love! Head over to her post for the instructions! 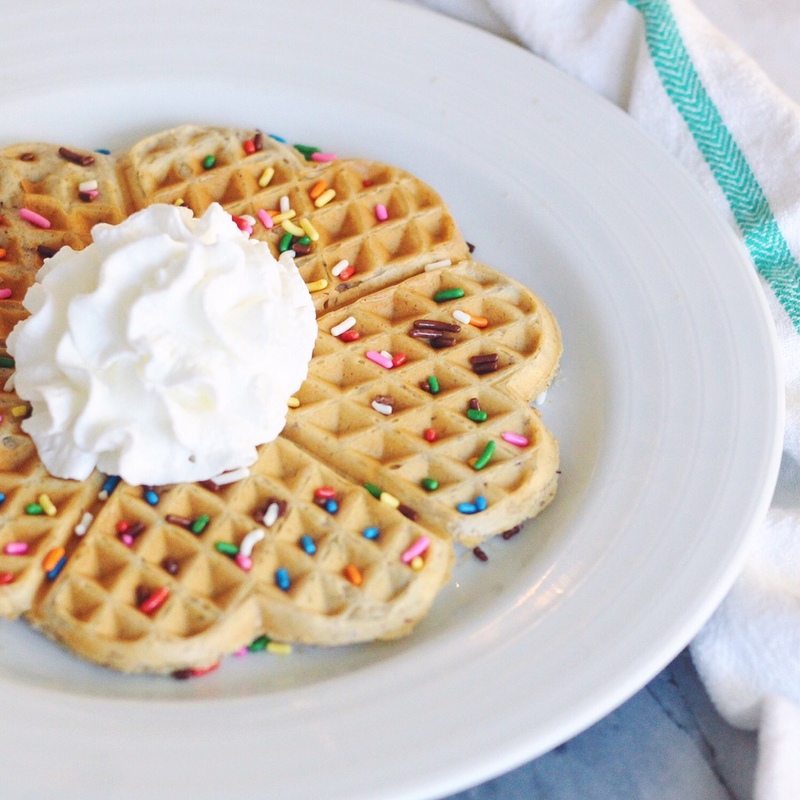 Start off your morning with these deliciously adorable heart shaped waffles by Ester of The Cuteness! 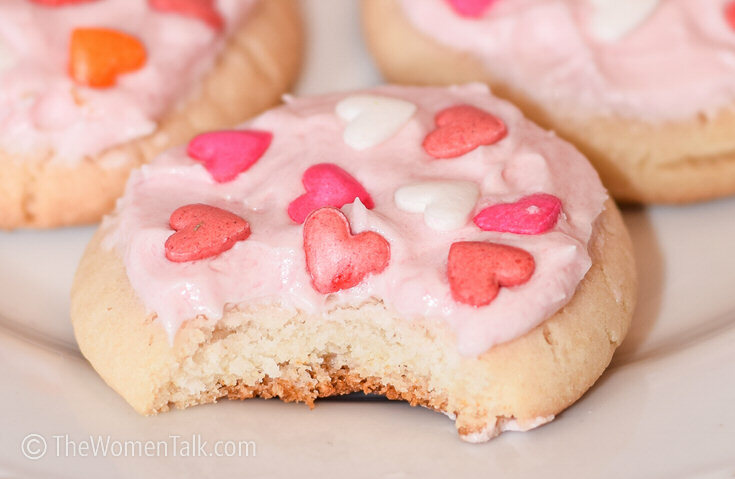 Once you've finished with breakfast, whip up a batch of these amazing V-Day White Cake mix cookies. Not only are they delectable, but could they be any cuter? I think not! Stop by The Women Talk for this delicious recipe! 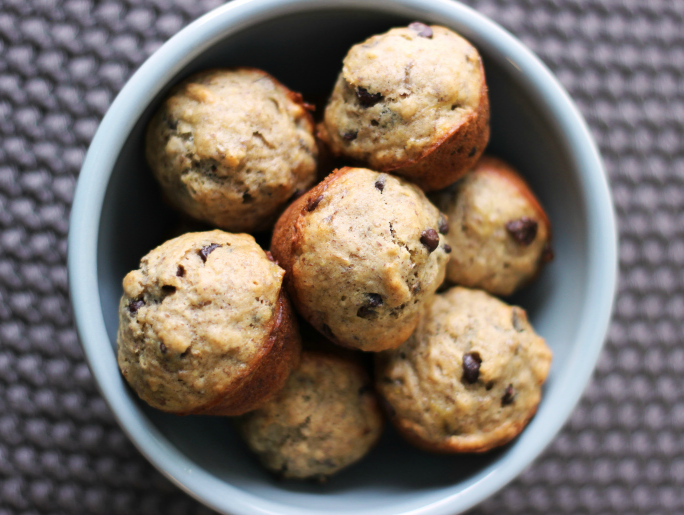 Skip the super sweet chocolates this Valentine's Day and whip up a batch of these oh-so-yummy muffins by Pragmatic Mama! 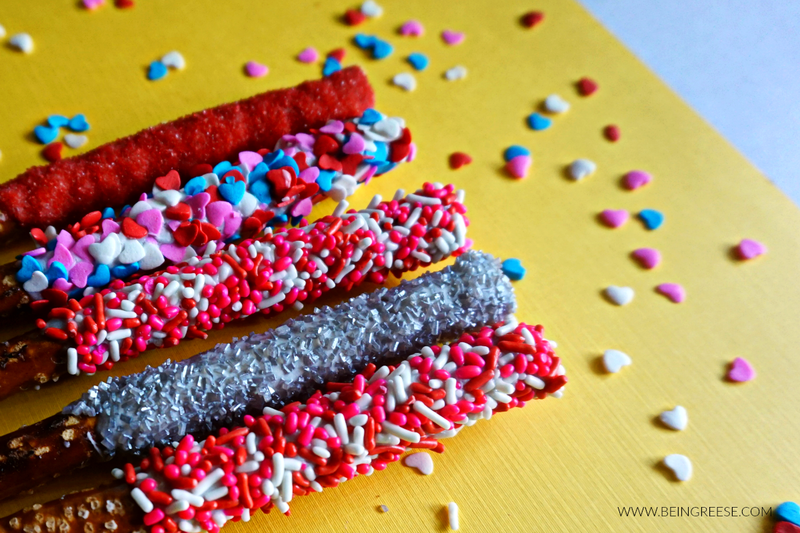 But just in case you're in the mood for some super sweet chocolate, be sure to check out these adorable Valentine's Day pretzel sticks I made last month! Yum! Not a fan of pretzels? 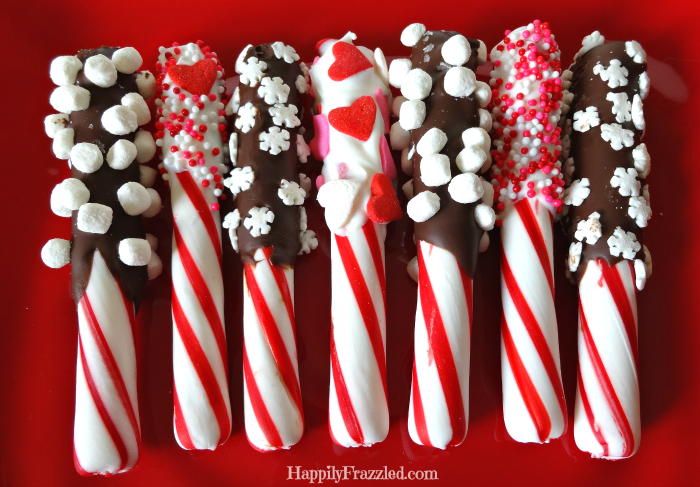 Indulge in a bit of chocolate, and keep your breath fresh for all those smooches with these delicious Chocolate Dipped Peppermint Sticks by Carrie of Happily Frazzled! It doesn't get much cuter than this! 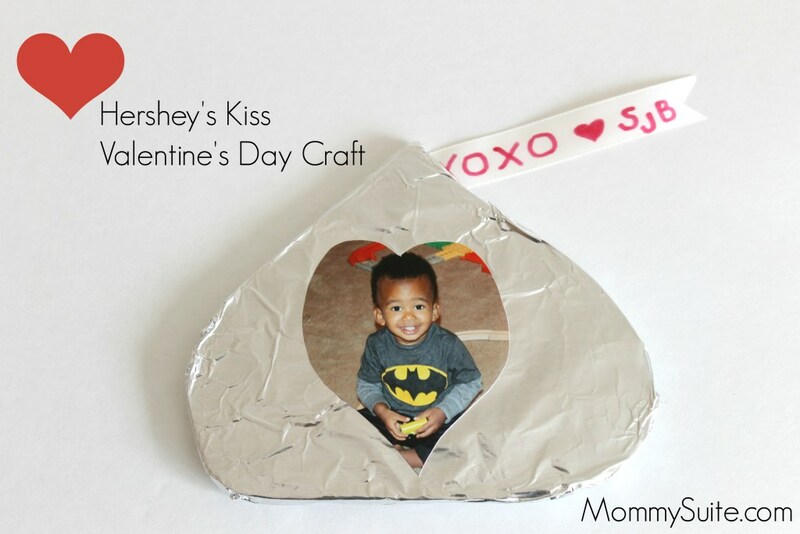 Stop by Mommy Suite to check out the simple tutorial for these Hersey's Kiss Valentines. 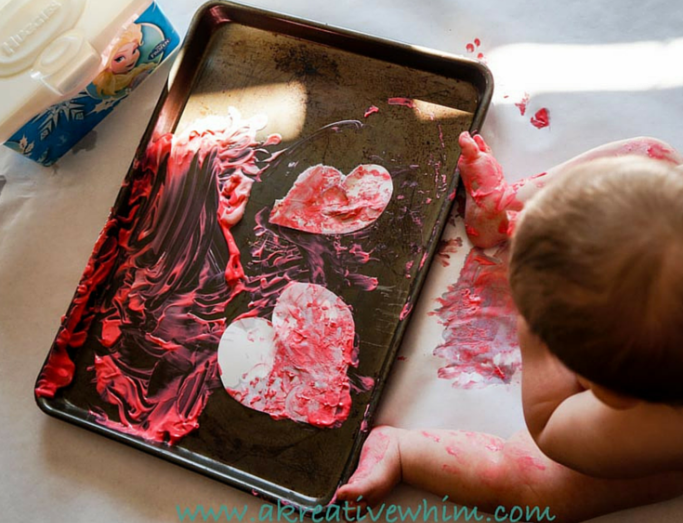 Head over to Cook with 5 kids for a TON of super cute Valentines Ideas, including Valentines Printables, Chocolate Covered Marshmallows and Heart Shaped Sandwiches! 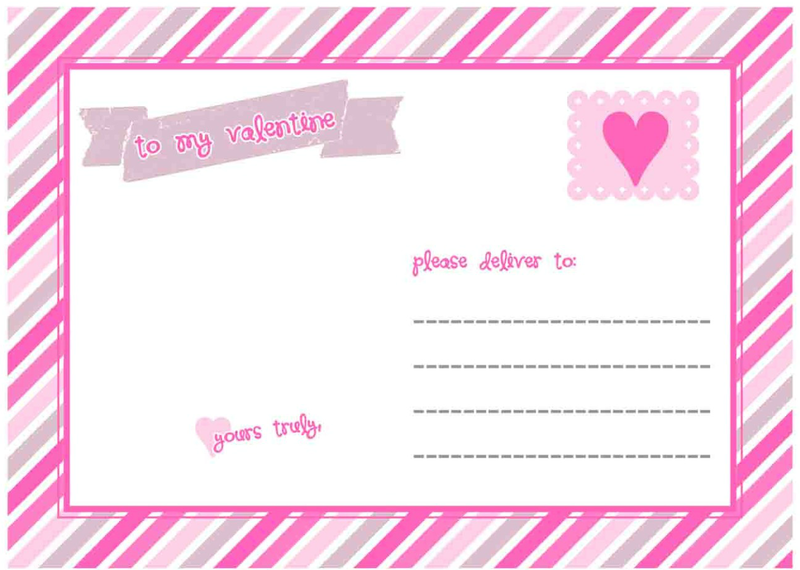 Speaking of Printables, check out these super sweet Valentine's Printables I designed a few years ago! Add them to your fireplace mantle, place them on your desk at work. Wherever you decide to use them, they are sure to brighten up any space! 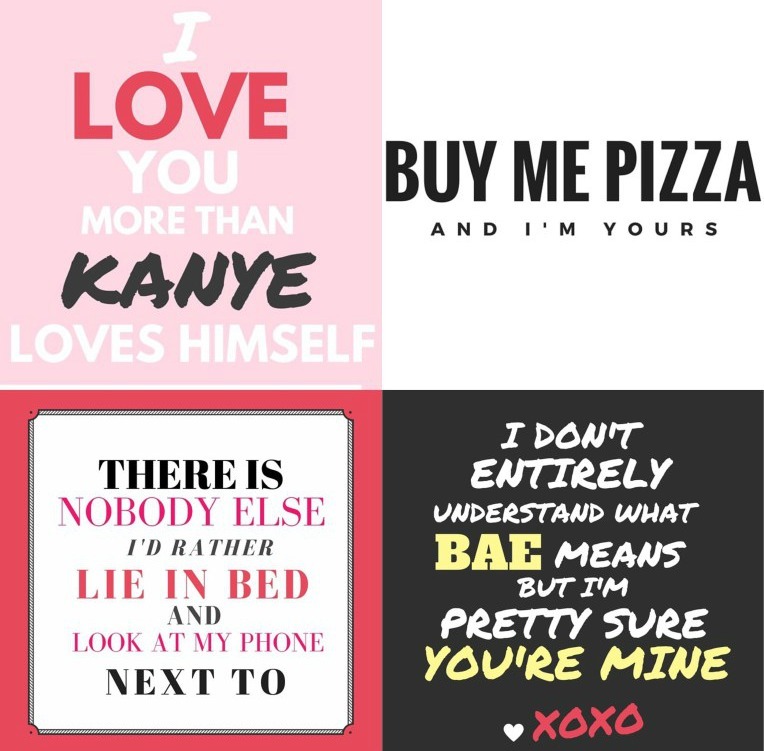 You can't go wrong with these super witty V-day printables by Dawn P. Parnell, because let's face it, pizza is the way to EVERYONE's heart! 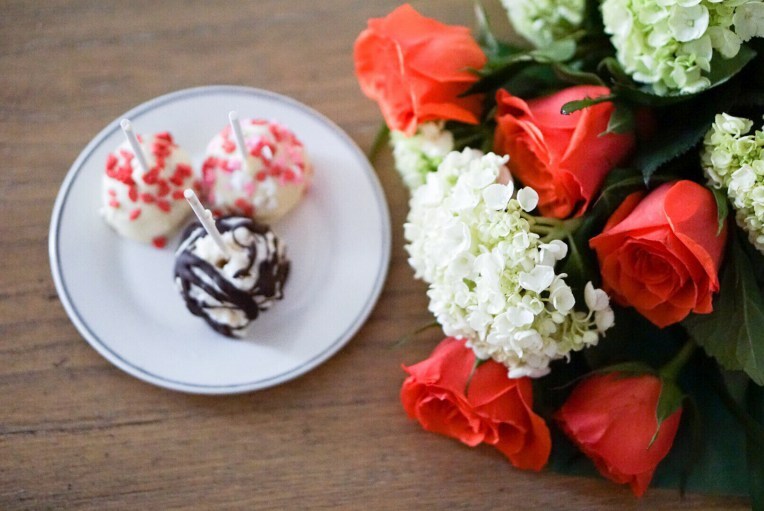 Bonus: While you're there, check out these delectable cake pops! 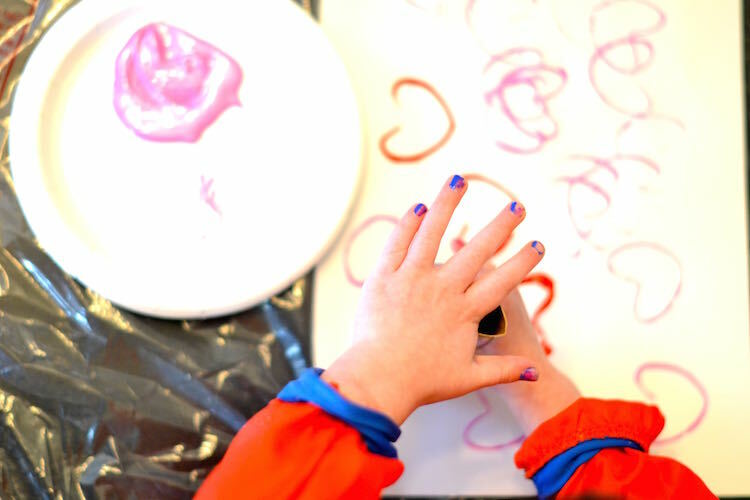 This is a super easy Valentine’s Day craft for preschoolers – you literally only need 3 things. 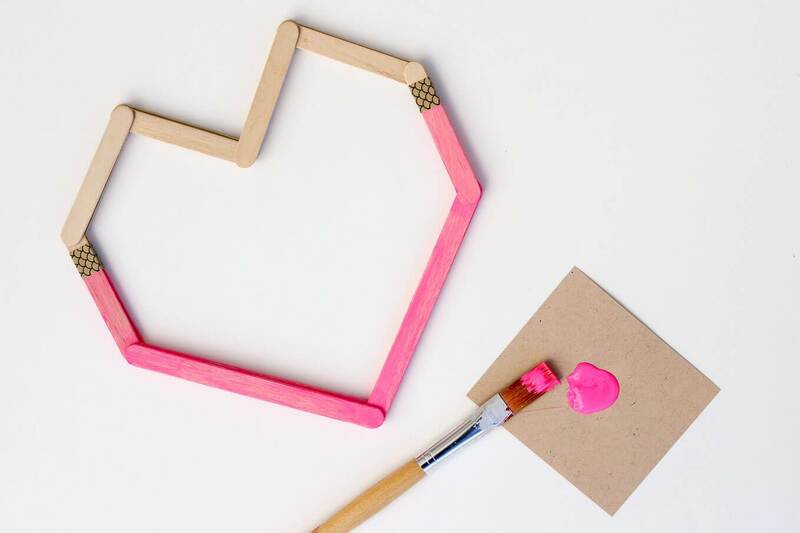 Head over to Lucky Love Life for this adorable Valentines kiddie craft idea! What's better than spending time with your sweetheart on Valentines Day? Why spending time with your kiddos of course. 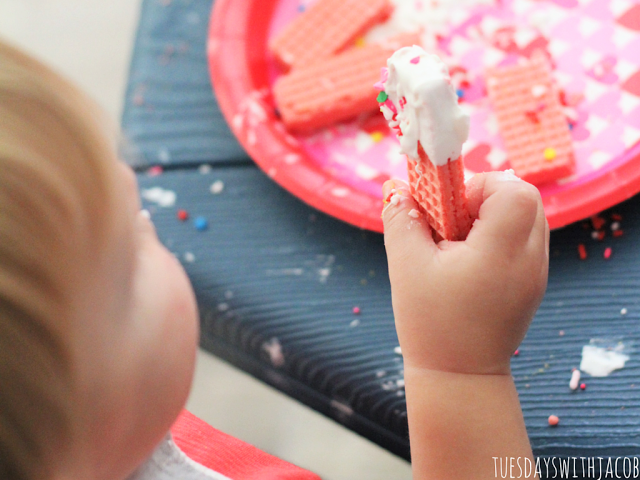 Stop by Tuesdays with Jacob for ideas on how to host your own Valentines Kiddie Play Date! Get messy with Katie of Kreative Whim with this super fun (and super delicous) kiddie edible yogurt recipe! 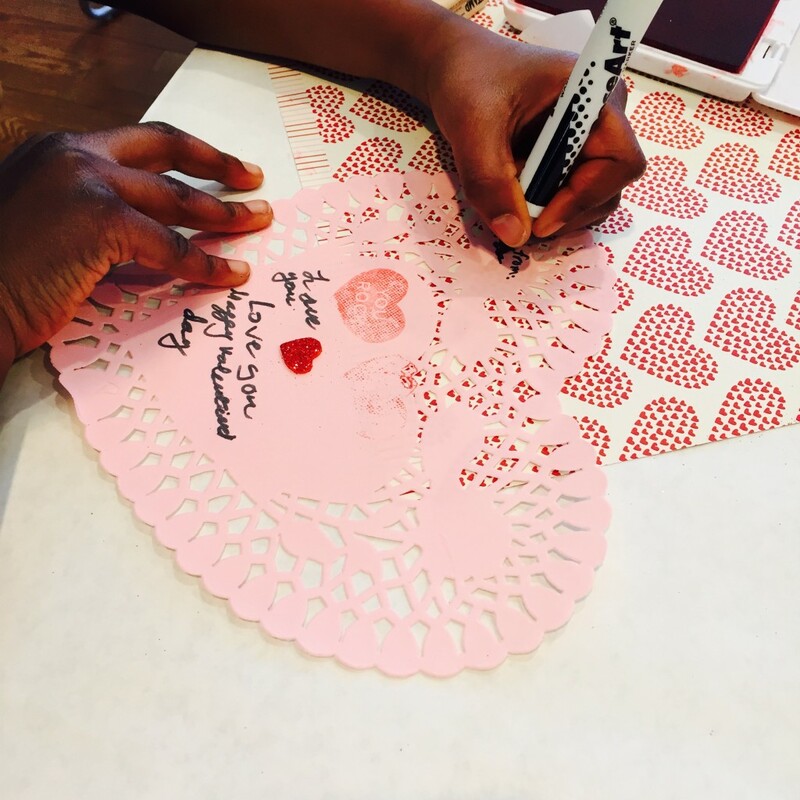 Learn how to host a Valentine's Day Crafternoon that both kids AND adults will love with the amazingly creative Simone of Her Life Inspired! 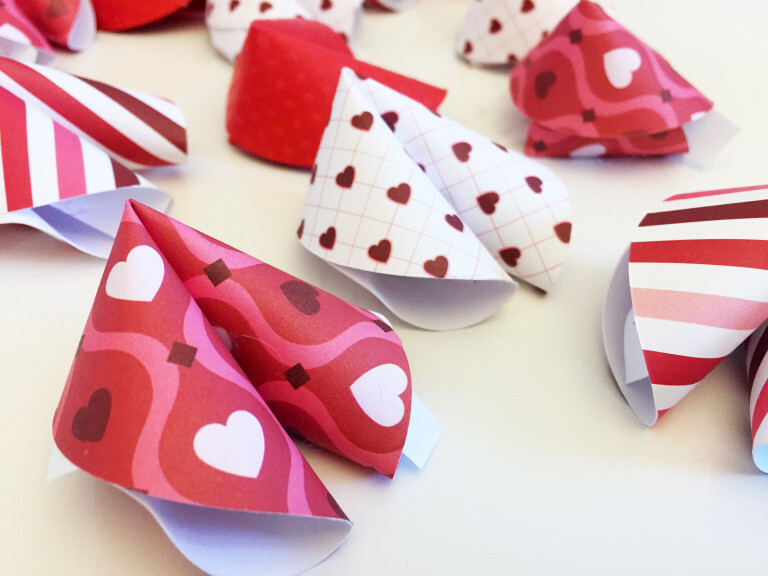 Bonus: While you're there check out her post on how to create these adorable fortune cookie Valentine's! 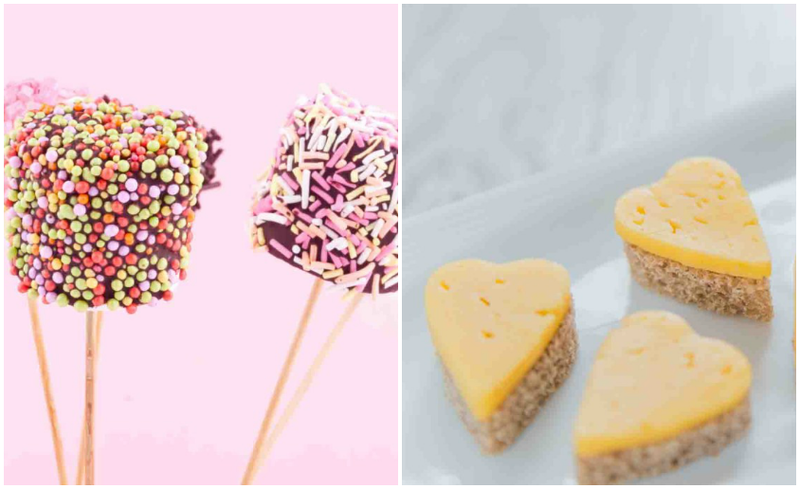 These super simple yet ridiculously adorable popsicle Valentines were designed by Jess from Makedo Crew. 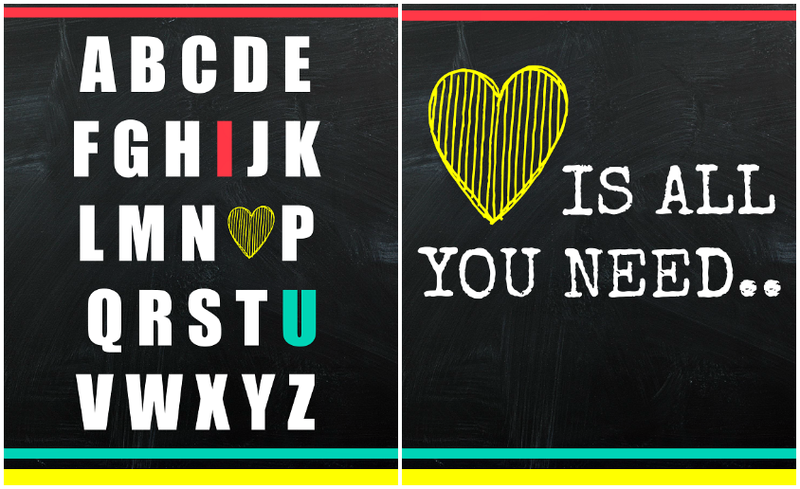 These are not only awesome Valentines gifts, but you can actually turn this into a lovely decor idea. Be sure to pop on over to her blog for the full tutorial. 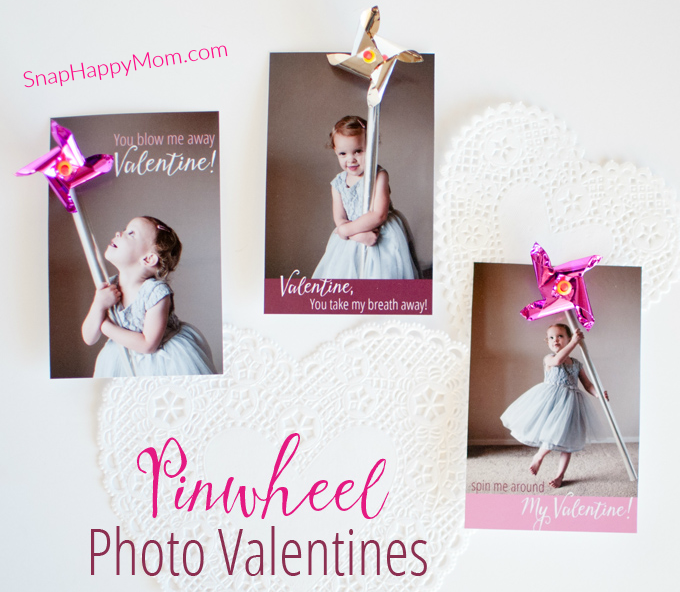 These Pinwheel Valentine's are so much cuter, not to mention thoughtful, than a store bought card. Head on over to Snap Happy Mom to learn how to make these sweet little gifts for the sweetie in your life! 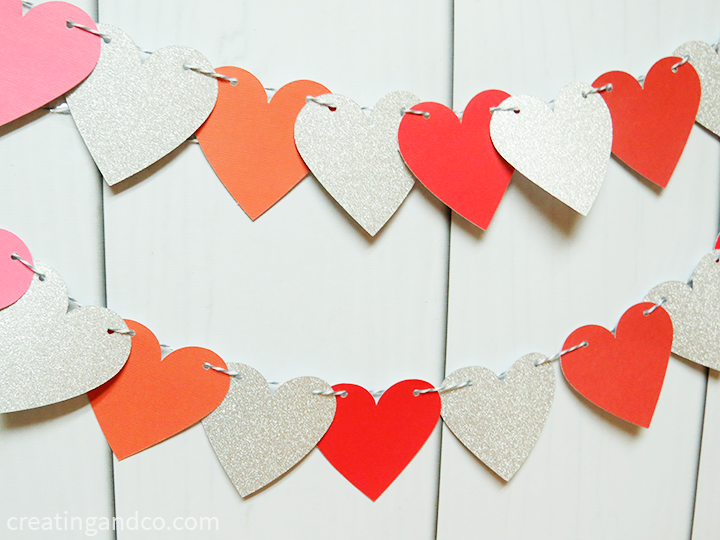 Why spend a fortune on store bought garland when you can add a personal touch to your own hand crafted V-Day garland? Stop by The Juggling Act for the full tutorial! As always, if you loved this post, feel free to repin for later, or retweet to share with friends and family! 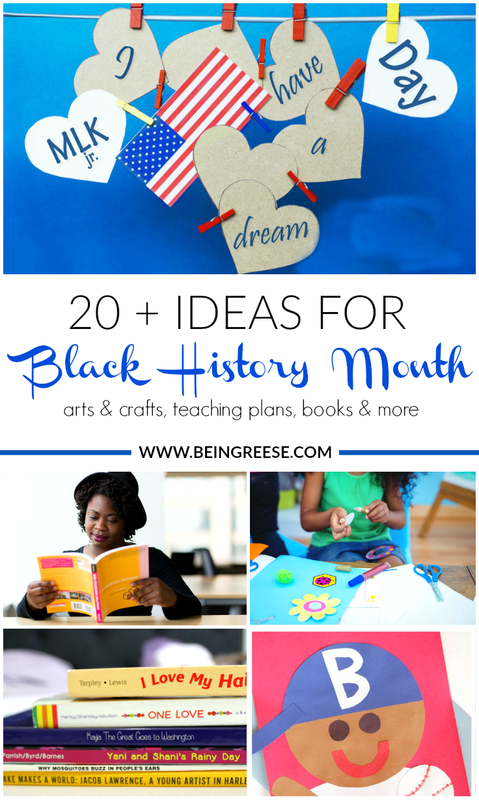 This month I'm going to be celebrating Black History Month by sharing activities and book lists for you to help teach your children (and yourselves) about iconic Black figures who have contributed to this country. I know there's a lot of controversy surrounding Black History Month, however, I still strongly believe it's an important and very necessary month. 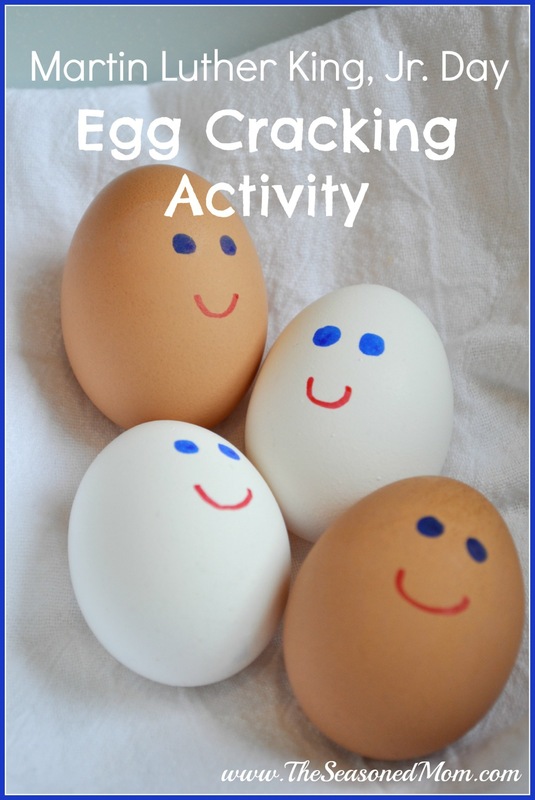 It's been a while since I've done a Freebie Friday, so I decided to kick off the month with a free matching activity for you to work on with your children. The instructions are simple, match the corresponding Black figure to their accomplishment or contribution. Click here, or on the image above to download and print a 8 x 11 copy of this worksheet to complete with your children. 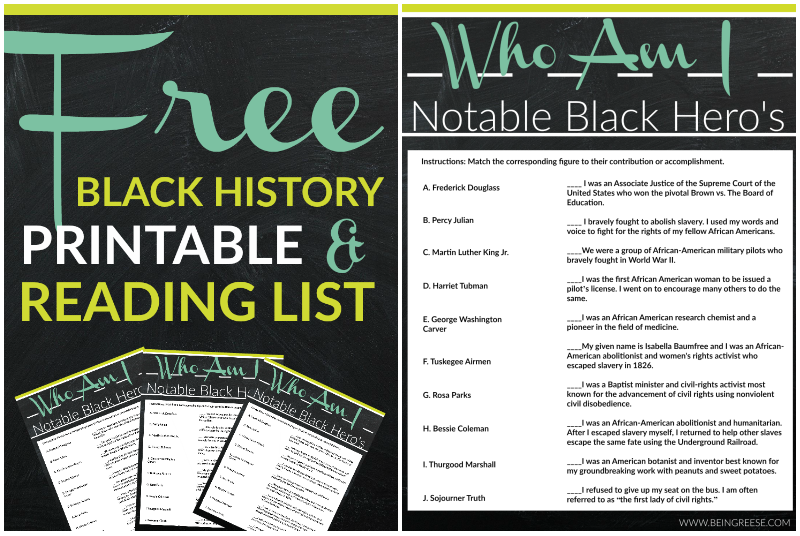 In addition to the worksheet, I've put together a book-list highlighting each of the historical figures listed on the worksheet. This is an excellent way to further explore what each individual contributed to this county. These books are all listed on Amazon, but can probably be found in most local book stores. If you enjoyed this post, please feel free to repin it on Pinterest, or retweet to share with friends and family on Twitter. Happy Black History Month. Enjoy, celebrate, and share! So you want to start a blog? Welcome to the club. Most bloggers unknowingly enter into the blogosphere completely unaware of what they're up against. In a world where Instagram celebs are a dime a dozen, it's easy to mistakenly believe that it's a simple as it looks. Spoiler alert, it isn't. Every blogger everywhere who has ever stated a blog successful blog will probably tell you that they weren't prepared for the amount of time, effort and money they've spent to get to where they are today. Unlike what Hollywood would have you believe, you generally don't gain legitimate followers and readers overnight. It takes quite a bit of time and even more planning to create a successful blog. 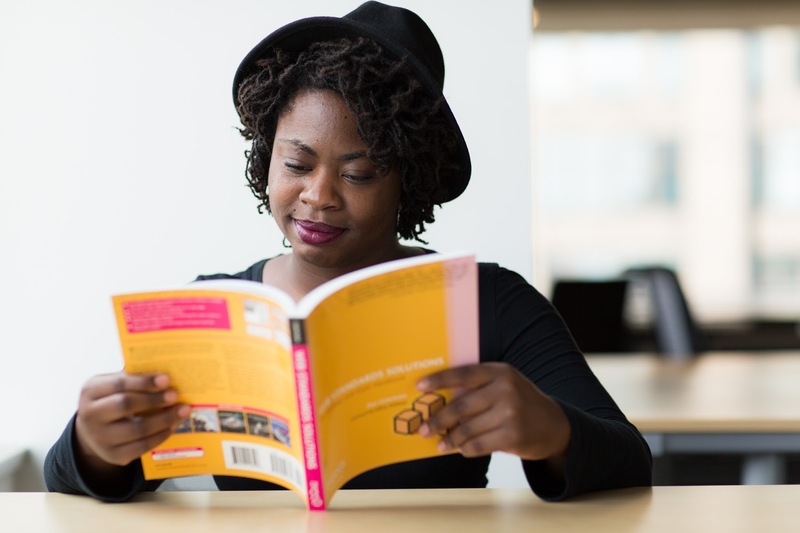 If you're looking to monetize your blog, and you're just starting off, you need to instead shift your focus to creating awesome content that people actually want to read. In the beginning, making money shouldn't be your primary focus. If it is, odds are you'll burn out long before you even make your first dollar. Ask a successful blogger what the key to their success is and nine times out of 10 they'll tell you that they have a tribe. This tribe is typically a small group (3-10 people) that they can bounce ideas off of and collaborate with for giveaways and blogging series. Find a tribe that fits your niche and work with them. Promote each other, encourage each other, uplift each other. Trying to explain blogging to your non-blogging friends and family can often times be a worthless pursuit. 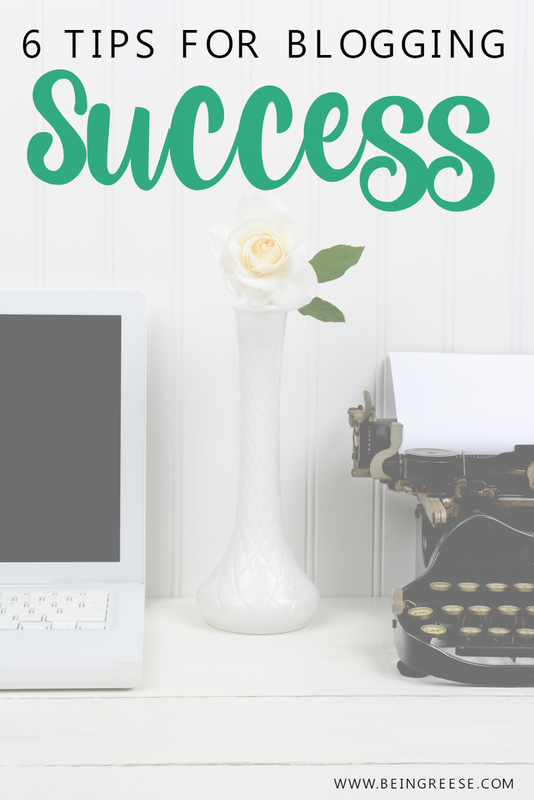 It takes someone who is just as eager to run a successful blog to understand what it takes. Be prepared to spend long arduous hours in front of your computer screen. Some nights you'll question your ability as a writer. Some days you'll want to give up and press the delete button. Don't. Be prepared to have some stress filled nights, but understand that the reward will be well worth the sacrifice. Blogging with a family or job can be even more difficult. If you can, try to carve out a hour or two a few times a week to create some great content. Sometimes this means you'll stay up well past your bedtime, but again, all great things come with a little bit of sacrifice. Be willing to put in the time and effort and you may be surprised with how quickly you gain traction. And by social, I don't just mean have a social media presence, I mean actively engage others. If you want people to share your posts, share theirs. If you want people to retweet you, retweet them. And please don't just promote yourself all the time. Nothing is more annoying than scrolling through someones Twitter or Facebook feed, and seeing nothing but links to their posts. Your readers should be your number one priority, and you should have more to offer them than constant self-promotion. You should be sharing links to articles that will be of interest to your readers--even if those articles are not written by you. This shows that you readers are your number one priority and you are a resource of valuable information. But be warned, never ignore you're followers. If they're leaving comments and socializing with you, make an effort to return the favor. No one likes talking to themselves. If you keep ignoring them, odds are they'll move on and find someone who won't ignore them. It so easy to fall victim to the lure of purchasing followers. It's quick, it's easy, and it makes you look attractive to brands you'd like to work with. But it comes with a cost. A few months ago, it became pretty clear that many of those "top bloggers" were purchasing followers on Instagram. During what became known as the great purge of 2015, Instagram removed spam followers overnight. When the smoke cleared, many of us were surprised to see that some of our favorite bloggers literally lost thousands of followers overnight. Purchasing fake followers is a lot like cheating on your diet and gorging on pizza. You get instant gratification, yet, all you've done is fill yourself up on empty calories. While it's great to have thousands of followers, it does you no good if they're not engaging with you. If you have 2000+ followers on Instagram, but you're only getting 10-15 likes on each photo, it's not good. Not only do brands look to see if you have a decent amount of followers, but they look to see whether or not their engaging with you. And again, this goes back to tip number four, are you being social. On both Instagram and Twitter, I have special lists of followers I chat with often, If I can see that you're making a concerted effort to engage with me, odds are I'm going to return the favor. You may not be able to buy success, but you can certainly invest in it. And that's what blogging is-- an investment. You will likely spend money on your blog layout, your domain, stock photos for your blog, advertisement for your blog, blogging classes or conferences, the list goes on. Blogging can be an expensive gig, but it can also pay off. Be prepared to spend a bit of money. And if you're consistent, and stick with it, it will be money well spent. So what are your pro-blogging tips? Sound off in the comment section below.